Commemorating the Year Of the Snake in the Chinese Lunar Calendar proved more troublesome than other years as New Zealand does not have any indigenous snakes to feature. However, a rather ingenious twist was added by featuring tropical and sub-tropical sea reptiles which have been known to visit the northern-most parts of the country. Even then, most sightings are reported at sea either caught in fishing nets or found sick or injured near the shore - in fact there have only been just over a handful of reported sightings of the Banded Sea-Snake since 1880. 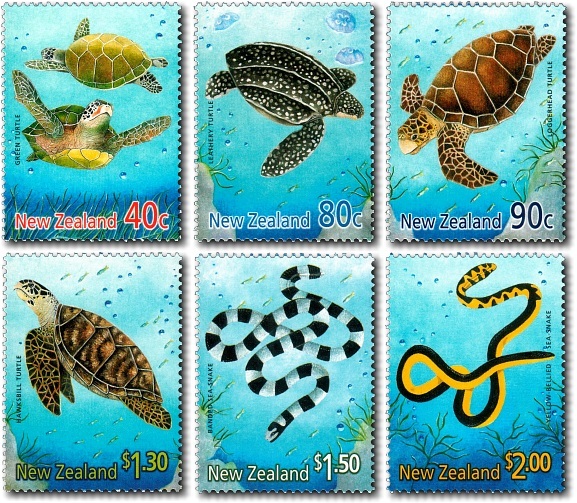 The turtles featured on these stamps are all found in the tropics near coral reefs or in shallow bays and lagoons. The sea snakes are believed relatives of Australian land snakes. They are venomous but most bites occur on fishing trawlers. 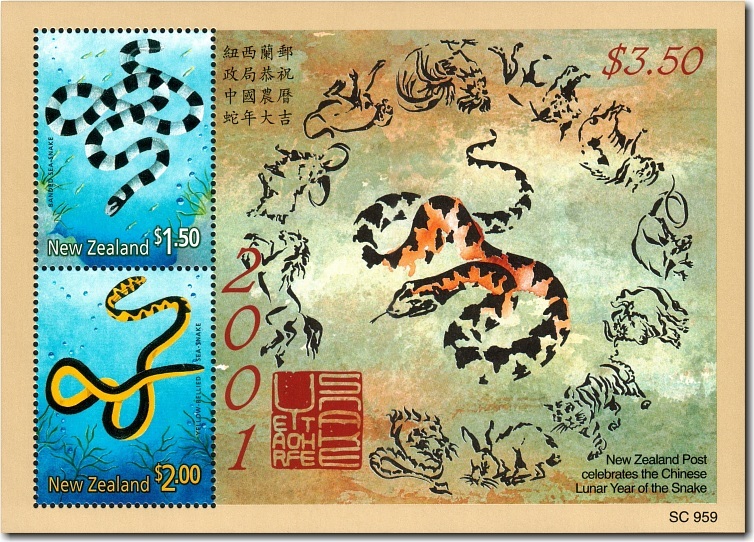 A special miniature sheet was issued incorporating the two sea-snake stamps to commemorate the Year of the Snake.